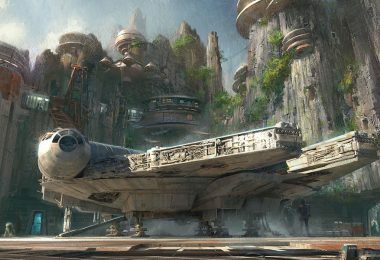 There’s a lot to look forward to at Disneyland park as we head towards 2017 and beyond, and we’ve heard some great news from our pals over at the Disney Parks Blog: After a period of refurbishment, the Disneyland Railroad—as well as the Rivers of America attractions—will return in Summer 2017! Soon, the Rivers of America will feature a beautiful new riverbank, as well as an elevated trestle over which the Disneyland Railroad will travel. 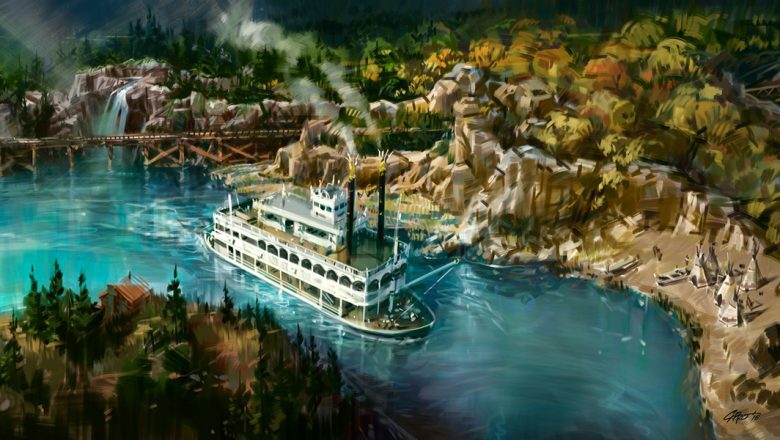 Additionally, all your favorite Rivers of America attractions will be up and running once more—including the Mark Twain Riverboat and the Sailing Ship Columbia; the Pirate’s Lair on Tom Sawyer Island; the Davy Crockett Explorer Canoes; and even the legendary Disneyland nighttime spectacular Fantasmic! Hot on the heels of the big recent Elena of Avalor debut comes some very special news: Girl Scouts of the USA (GSUSA) and Disney Channel are teaming up to inspire girls and their families to practice leadership, using Disney’s newest princess as motivation! The collaboration brings GSUSA’s focus on leading like a G.I.R.L. (Go-getter, Innovator, Risk-taker, Leader)™, the Girl Scout way, and Disney Channel’s newest animated TV series into action with the debut of The Elena of Avalor Leadership Guide by Girl Scouts and Disney Channel. Available in English and Spanish beginning August 2, the guide showcases leadership activities and conversations parents and other caregivers can have with their preschool through fifth-grade girls, to boost their everyday leadership skills and prepare them to create the amazing future they imagine. 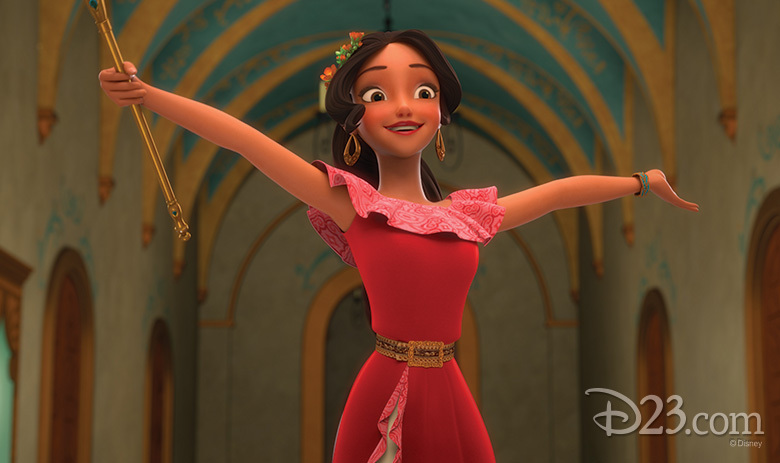 Also debuting is the inaugural “Elena of Avalor—Scepter of Light Award,” which will be presented to two Girl Scout Gold Award recipients; the Gold Award is the highest recognition a Girl Scout can earn, with recipients demonstrating extraordinary leadership through “Take Action projects” and exemplifying compassion, critical thinking, collaboration, and courage—qualities that Elena of Avalor herself often models. 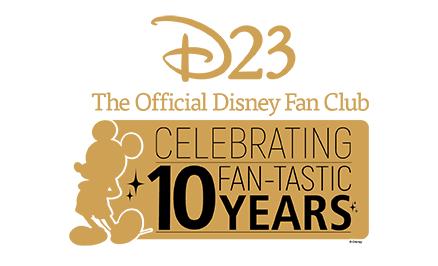 Award recipients will participate in events including Elena’s Royal Debut at Walt Disney World this August, and a GSUSA event in Chicago in the fall. The Muppets Bring an All-New Show to Walt Disney World—This Fall! “It’s time to play the music, it’s time to light the lights!” As lovers of all things Muppet, we’re particularly excited to announce that the Muppets are bringing a brand-new live show to Walt Disney World! 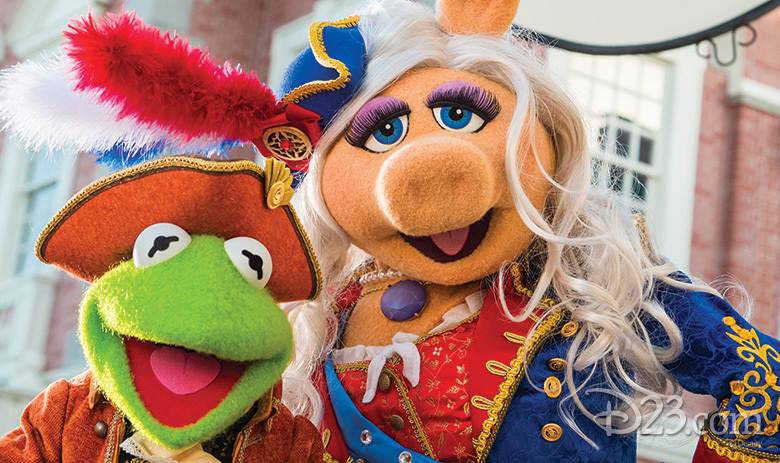 The Muppets Present… Great Moments in American History will delight guests at Magic Kingdom park, outside The Hall of Presidents, starting this fall. The extremely patriotic Sam Eagle, an American eagle forever trying to set a high moral standard for the Muppets, will join Kermit the Frog, Miss Piggy, Fozzie Bear, The Great Gonzo, and James Jefferson—town crier of Liberty Square—as they gather to present historical tales in truly hysterical fashion… From the midnight ride of Paul Revere, to the signing of the Declaration of Independence, the Muppets will appear throughout the day to share their own unique take on the founding fathers and the birth of the United States of America. 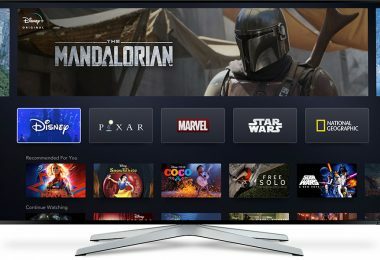 The show will, of course, feature plenty of wacky Muppets humor—as well as an original song, written just for this show. 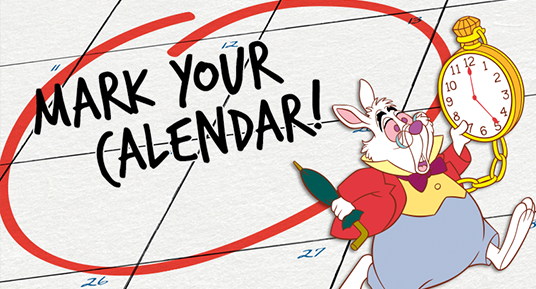 Look for The Muppets Present… Great Moments in American History beginning this October! 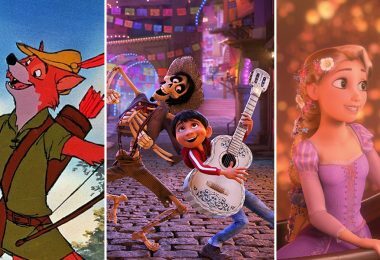 Beloved by adults and kids alike, Disney fashion has truly gone global over the last few years… so it’s no wonder that a new digital series is coming to Disney Style’s corner of YouTube. 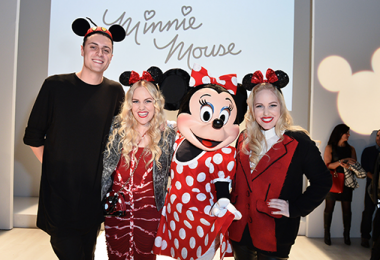 Destination: Disney Style will take viewers on a trip across the globe to explore the unique and fun ways its characters and stories are interpreted through fashion. The five-part original series is hosted by YouTube influencers LaurDIY, Jaleesa Moses, Meredith Foster, and Lucy & Lydia, and gives fans a glimpse of recent international Disney collaborations, street style, and trends in fashion capitals around the planet. Each episode comes from an international city—including Tokyo, Shanghai, and London—and looks at how local designers, fans, and fashionistas alike put their own spin on Disney style. Check out the first Destination: Disney Style episode, above—and stay tuned for new episodes premiering on YouTube every Tuesday at 10 a.m. PT throughout the month of August. Are you a live music fan? 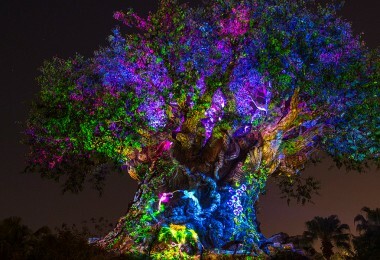 Do you also enjoy a trip to Disneyland park? (Honestly, that describes our entire department here at D23!) Then have we got news for you: For a limited time, live music is returning to the stage at Tomorrowland Terrace! Guest favorites such as 80z All Stars, Scot Bruce, Suburban Legends, and more will be performing on weekends—Friday through Sunday—beginning August 6, and only for a limited time. 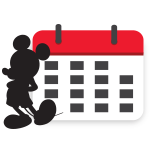 Different bands will appear from day to day, so be sure to check the Disneyland entertainment schedule before your visit. Some very cool groups have performed at the Terrace over the years—from future Tony®-winning drum and bugle corps Blast! to former MMC stars The Party (on an episode of 1990s TV series Blossom) and even The Police! (Yes, the one with Sting.) Amazing, right? 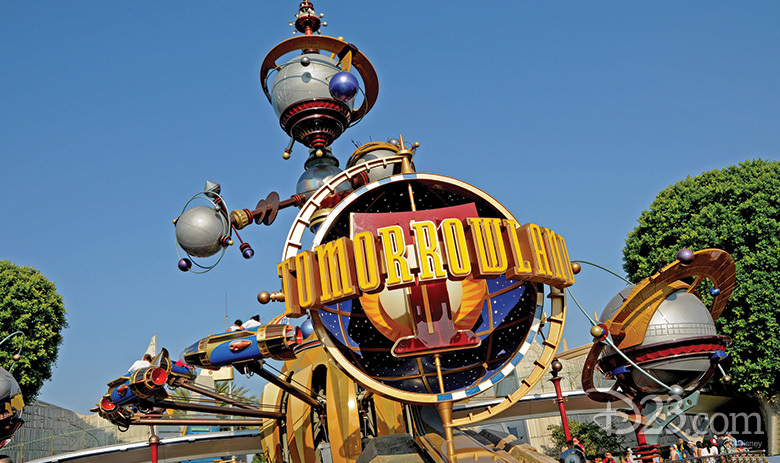 So don’t miss being a part of Tomorrowland’s musical history, all month long. 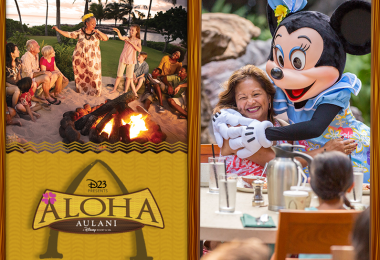 5 Reasons You Can't Miss Aloha Aulani!